In 1986, after a fire and explosion at the Chernobyl Nuclear Power Plant released radioactive particles into the air, thousands of people left the area, never to return. 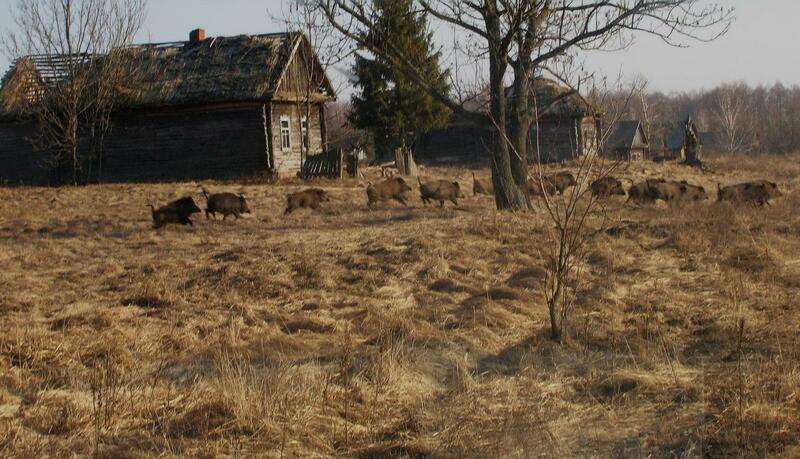 Now, researchers reporting in the Cell Press journal Current Biology on October 5 have found that the Chernobyl site looks less like a disaster zone and more like a nature preserve, teeming with elk, roe deer, red deer, wild boar, and wolves. The findings are a reminder of the resilience of wildlife. They may also hold important lessons for understanding the potential long-term impact of the more recent Fukushima disaster in Japan. Earlier studies in the 4,200 km2 Chernobyl Exclusion Zone showed major radiation effects and pronounced reductions in wildlife populations. The new evidence, based on long-term census data, now shows that mammal populations have bounced back. The relative abundance of elk, roe deer, red deer, and wild boar within the exclusion zone are now similar to those in four uncontaminated nature reserves in the region, the researchers report. The number of wolves living in and around the Chernobyl site is more than seven times greater than can be found in those nature reserves. Helicopter survey data also reveal rising trends in the abundance of elk, roe deer, and wild boar from 1 to 10 years after the accident. A dip in the wild boar population at one point was traced to a disease outbreak unrelated to radiation exposure. “These results demonstrate for the first time that, regardless of potential radiation effects on individual animals, the Chernobyl Exclusion Zone supports an abundant mammal community after nearly three decades of chronic radiation exposure,” the researchers conclude. They note that these increases came at a time when elk and wild boar populations were declining in other parts of the former Soviet Union. “I’ve been working, studying, and taking photos of the wonderful wildlife in the Chernobyl area for over 20 years and am very pleased our work is reaching an international scientific audience,” says Tatiana Deryabina from the Polessye State Radioecological Reserve in Belarus, a few miles from the site of the Chernobyl accident. “These unique data showing a wide range of animals thriving within miles of a major nuclear accident illustrate the resilience of wildlife populations when freed from the pressures of human habitation,” says Jim Beasley, a study co-author at the University of Georgia. The inputs of J.T. Smith and A. Lerebours to this paper were supported by the TREE project (funded by the Natural Environment Research Council NE/L000393/1, Environment Agency and Radioactive Waste Management Ltd.). Contributions of J.C. Beasley were supported by the US Department of Energy Award Number DEFC09 07SR22506 to the University of Georgia Research Foundation. October 5, 2015 in Current Affairs.